so a couple of weeks ago was the 65th World Newspaper Congress in Bangkok (I know, me neither), the debate at which would have entirely passed me by had it not been for mediaweek.com.au’s handy reporting of the event which landed on my desk yesterday. 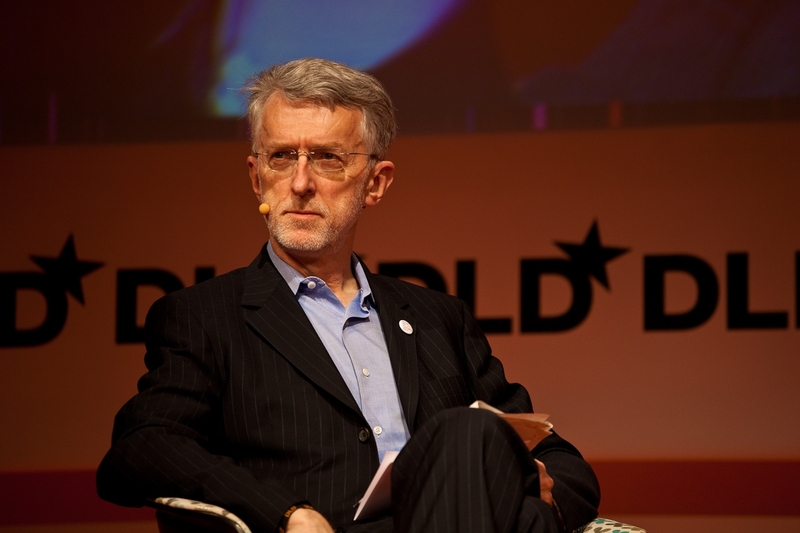 on page 9 I was very happy to see a write-up of the awesome Jeff Jarvis (above) who gave a talk at the congress entitled ‘New relationships, forms, & business models for news’. now mediation is quite the fan of the Jarvis and this is a subject Jeff knows more than a bit about – as well as working at the Tow-Knight Center for Entrepreneurial Journalism and the City University of New York Graduate School of Journalism, he has an awesome blog at BuzzMachine which you should check out immediately … after reading this post. what Jarvis tackled, with typical energy, was the idea that newspapers were not in the content business but rather the service industry. this must have come as a bit of an annoyance to publishers who had just gotten their head around the idea that they weren’t in the newspaper printing business but rather the content business. change, as the IPA 7th Social principal states, will truly never be this slow again. its classic and wonderful Jarvis – clear, compelling and challenging. but its also advice that shouldn’t just apply to newspapers. reread the above but replace newspapers with brands … the themes of (1) thinking service and value not (just) content, (2) serving individuals not masses (3) collaborating with customers and, perhaps most importantly, (4) sticking to what you do best and linking to the rest … is valuable and timely advice for anyone working with and growing brands right now. brands, like newspapers, are just getting their collective heads around the idea of content creation and distribution as a ongoing and necessary staple of their marketing efforts. whilst of course some (RedBull, GoPro etc) are miles ahead, too often we (and when I say we, I mean I) see brands tackle content from a broadcast mentality. this (1) makes it very expensive, (2) pushes timelines into years rather then months territory and (3) puts a lot of marketing collateral eggs into one basket. … its a bit like brands approaching content the way a newspaper would approach investigative journalism. lots of effort with a high risk of little return should the story not be there or pan-out the way you thought. Jarvis argues for a much for future-facing and focused approach … one that involves thinking about what you don’t do as much as what you do. and one that demands that we think of people as interactive individuals not passively massive groups. thanks Jeff … keep doing what you do … you rock. also a big shout out to PHD’s (well OMG’s) Andreas Vogiatzakis who presented our very own 2016 at the same event. awesome stuff.